Come home to the Marina Breeze where nothing is less than perfect. This premium residential apartment forms part of the mega-project that is the Durrat Al Bahrain, the second largest artificial island in the Kingdom of Bahrain and the first of its kind and size in the Middle East. Make the best decision to live alongside five-star hotels, a golf course, bridges, and a marina and be part of all the excitement. 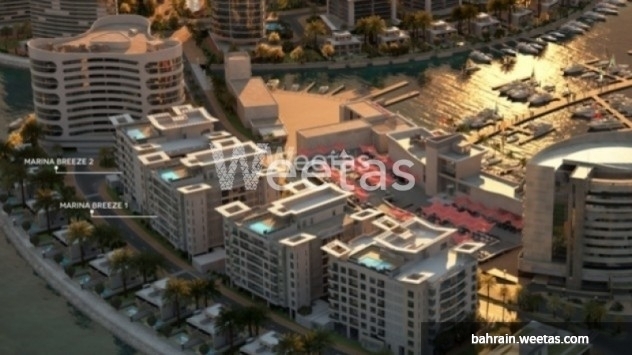 A two-bedroom 122sqm apartment with a marina view is available for sale at the Marina Breeze. It has two balconies that total 14sqm, three toilets and an open kitchen. 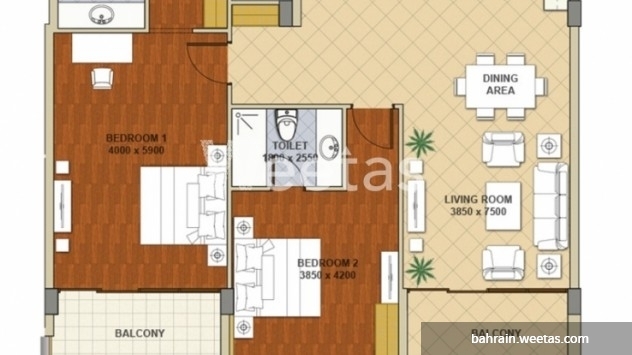 Total area is at 136sqm. The project is currently under construction. Make your reservations now! Unit price starts at BHD 82,000.